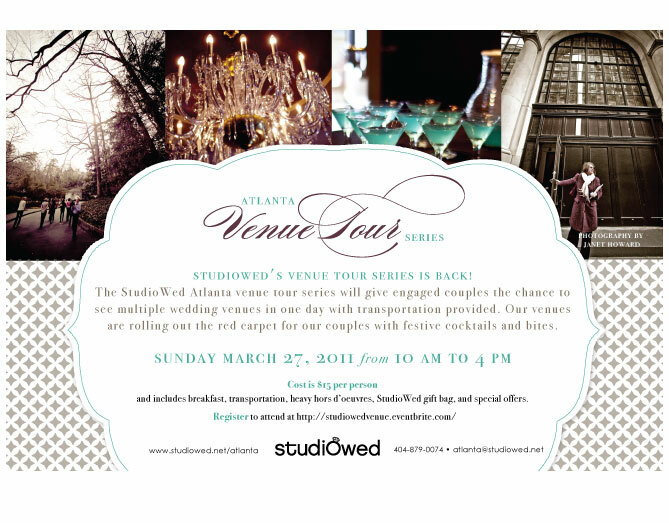 The StudioWed venue tour series on March 27th will give engaged couples a fun way to visit multiple wedding venues in high style! The venues are rolling out the red carpet with festive cocktails and bites. We will be visiting on this tour Endive, The Peachtree Club, Cator Woolford, and Ventanas.Cost is $15 per person, or $25 per couple, and includes breakfast, transportation, cocktails, heavy hors d’oeuvres, and a StudioWed swag bag. Register to attend at http://studiowedvenue.eventbrite.com/. I am a Director at one of South Atlanta’s Elegant Facilities. 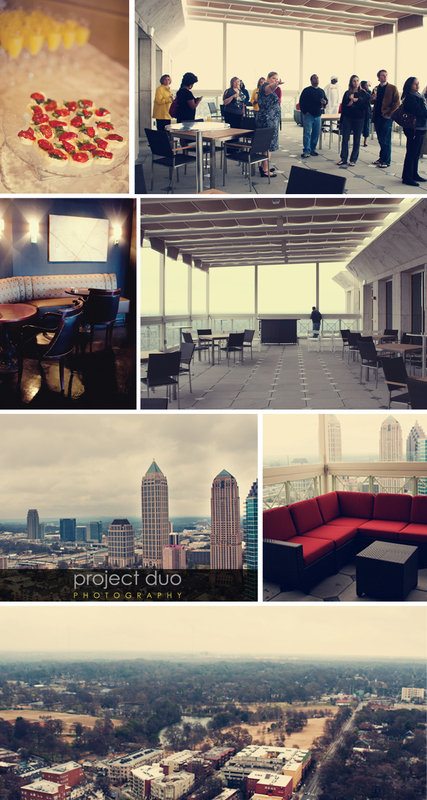 I would love to be apart of any upcoming Venue tours. I would like to invite you guys out on Sunday, April 3, 2011 from 2pm-5pm for our 2nd annual Open House.